I’ve always wanted to be a witch. There are many who believe I’ve accomplished that goal. I picture myself as an enchantress with beautiful red, curly tresses, casting spells and helping those in need. I’m a good witch, of course. There are times this book gets bogged down in bodice-ripping, lusty, deep-breathing details that make me cringe, and the main character, Diana, seems to do a lot of eating, sleeping and being confused. If these are witch requirements, I am SO there. The story follows Diana and her handsome vampire as they try to figure out the secret behind her powers. All kinds of things like time travel, history, witch laws, the creation of demons, etc., come into play–which makes for an interesting read. 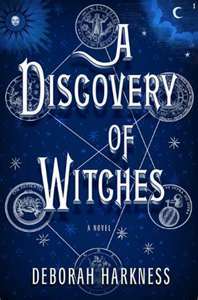 “A Discovery of Witches” is the first book of a triology. Of course. But fun if you like casting spells on friends and neighbors. 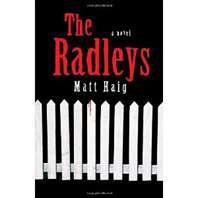 My second book is “The Radleys” by Matt Haig. This isn’t your gentle, slow Boo Radley character. This is your “We’re trying not to eat the neighbors” Radley family. The parents in the Radley family are abstaining vampires–vampires who have decided not to drink human blood. That’s nice of them. Their two teenage children have no idea they’re also vampires–until a fateful night when one of them eats a guy. Whoops. All hell breaks loose. So to speak. This book is much darker than the witch novel, but creepily and eerily fun. Again, if you like the idea of drinking human blood to sustain an incredible lifestyle, this book might be for you.